There’s a lot to say about Koenigsegg, but just seeing one in person fairly sums up most people’s feelings. 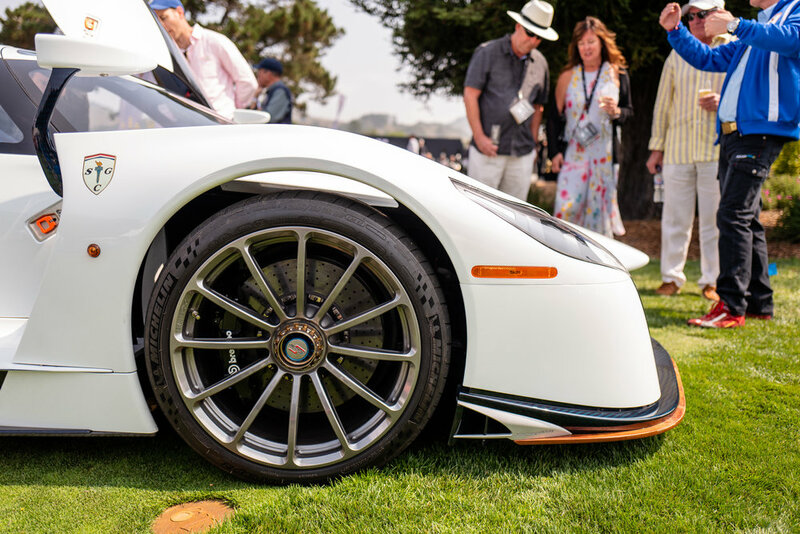 From breaking speed records to some of the most beautiful car designs, Koenigsegg is the ultimate driver for the road and track. 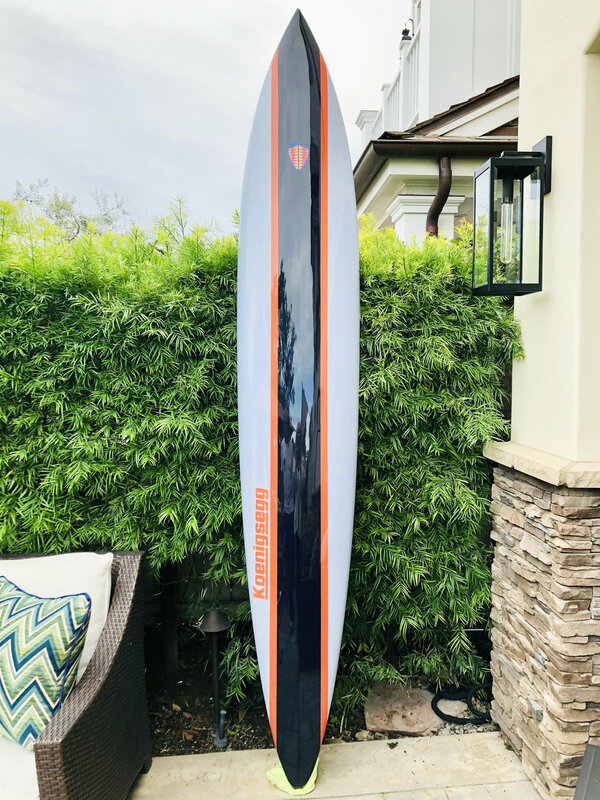 We are big fans over here at Grand Prix Surfboards and get extremely excited every time a new release comes out of Christian von Koenigsegg’s corner. We wanted to embody this way of life with the cars and transport that to our surfboards. 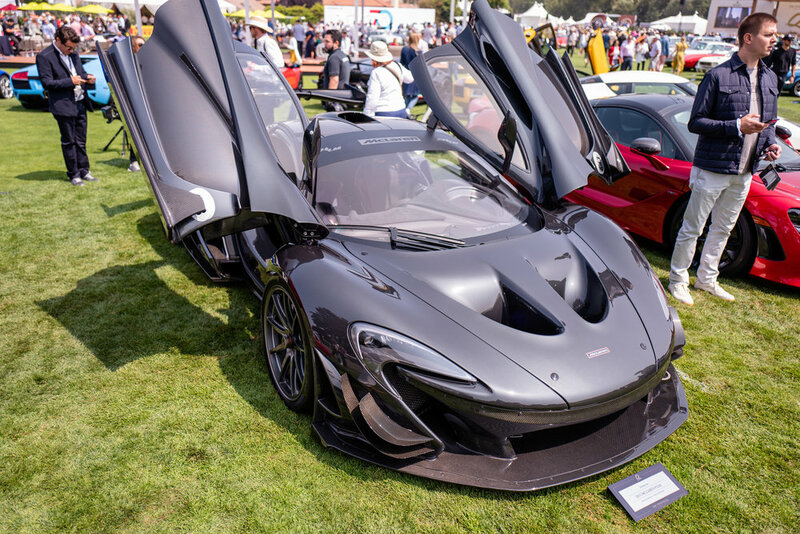 We accomplished this with the release of our first Koenigsegg surfboard. 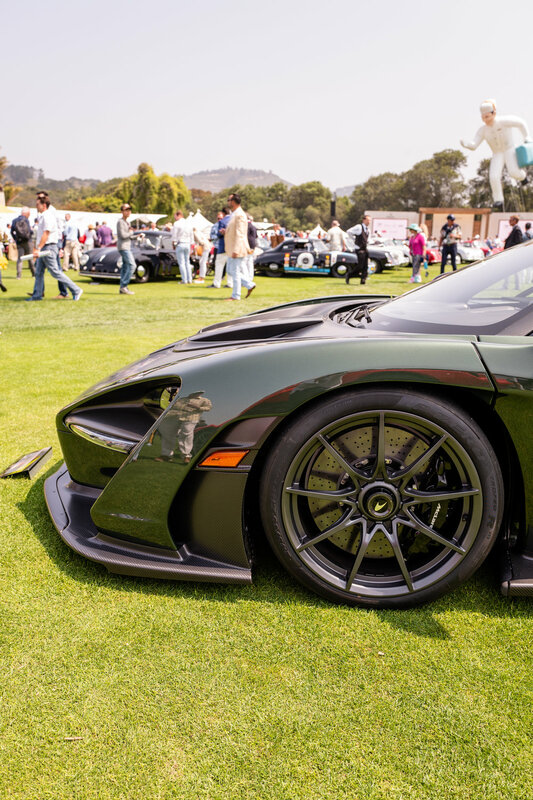 Our signature Koenigsegg design. Featuring a pearl grey board with carbon fiber stripe down the middle flanked by orange race stripes. 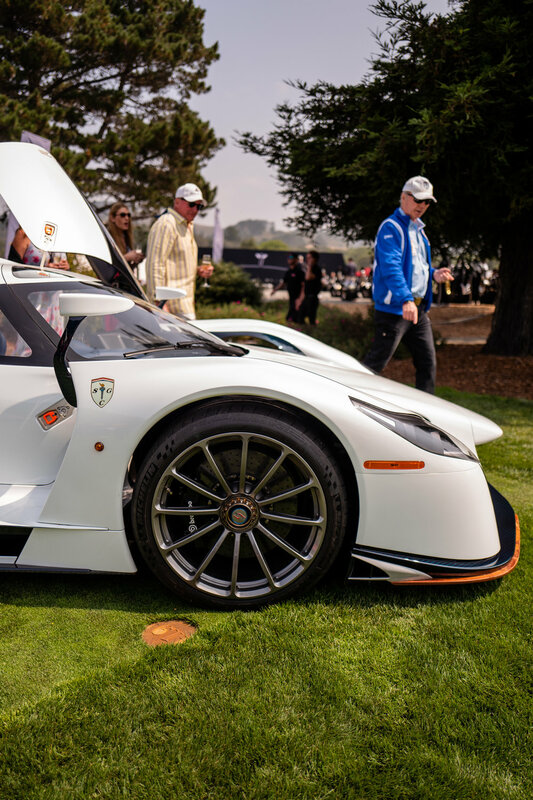 Features both the Koenigsegg badge image and logo on the top surface. 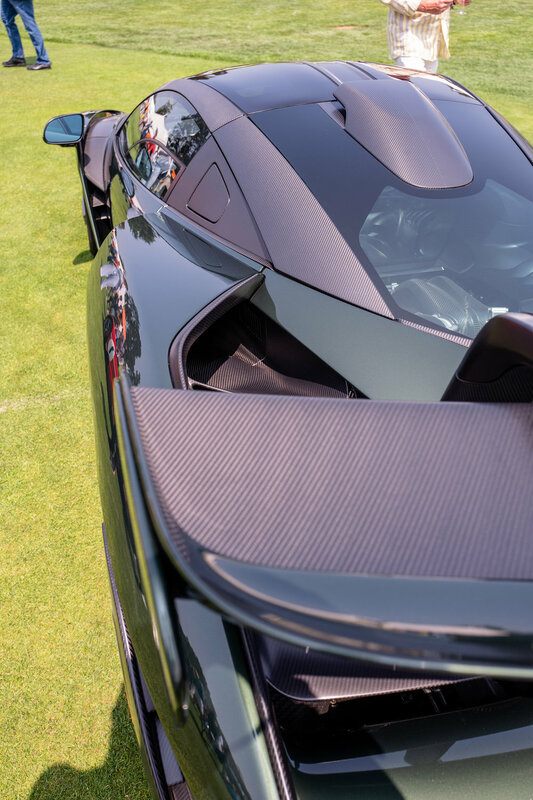 Bottom of the board features the same carbon fiber and orange race stripes with a large horizontal Koenigsegg logo. 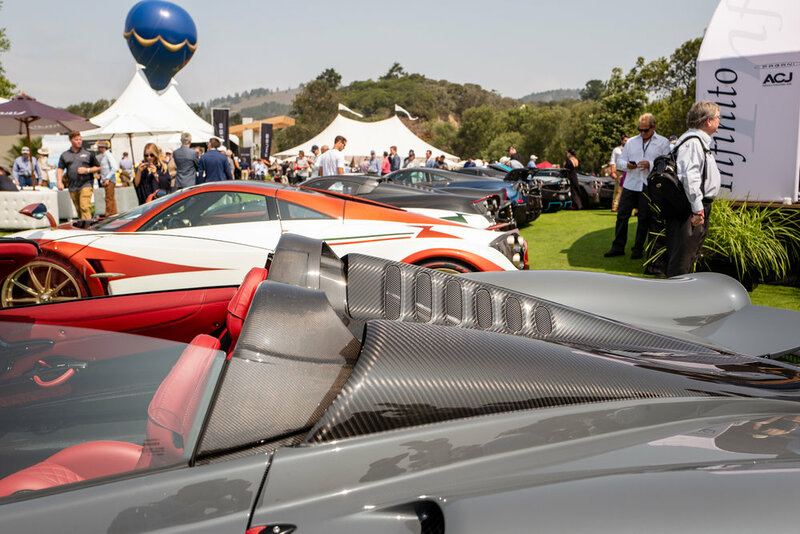 Pagani has always been one of our favorite car manufacturers. It’s tough to categorize them as a manufacturer, but more of a producer of rolling art. 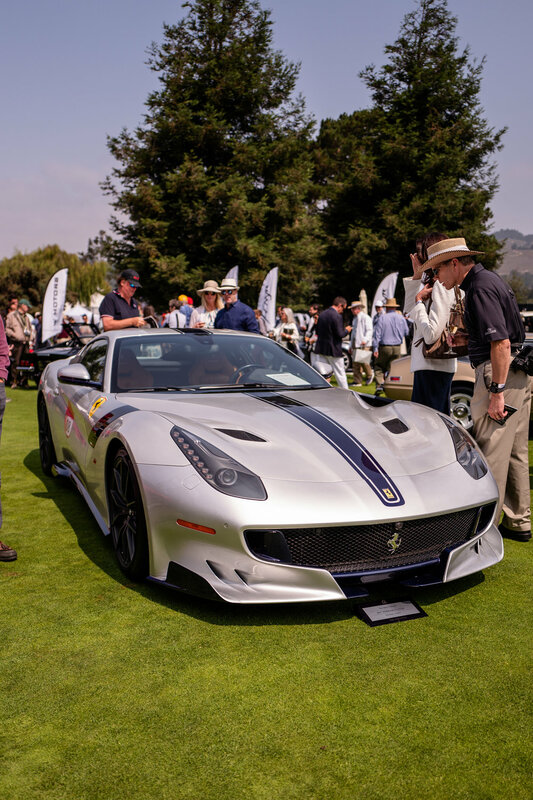 From the C12, the Zonda, and all the way to the current Huayra, we are absolute fans. 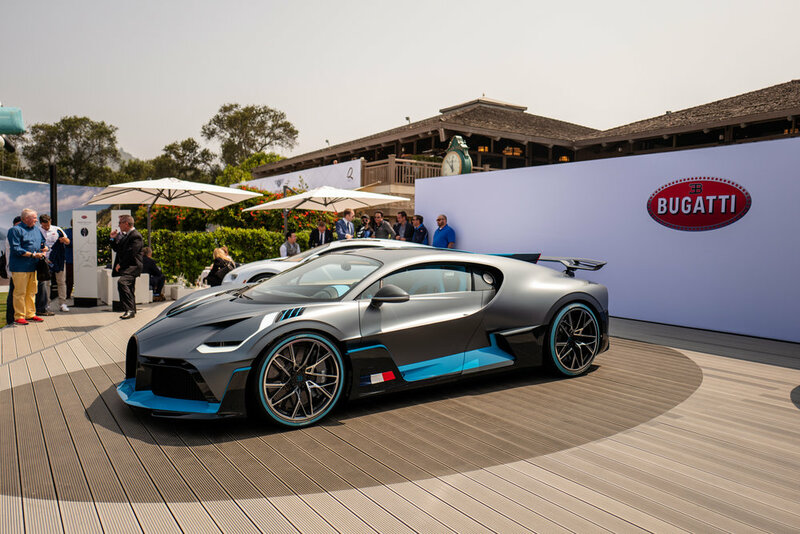 Not to mention the customization of colorways, paint, and exterior/interior finishes. 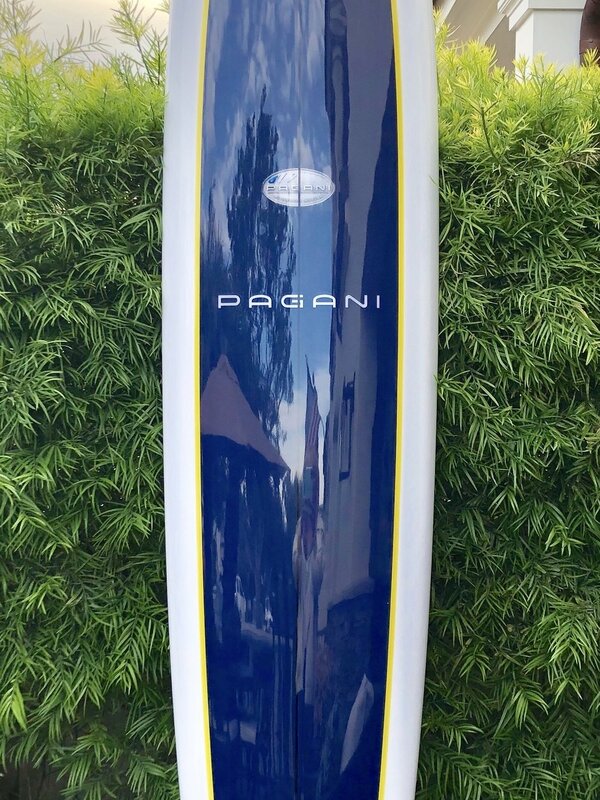 We wanted to capture this beauty in producing our first Pagani surfboard signature design. The board features a pearl white board with royal blue center and yellow pinstripe surround. 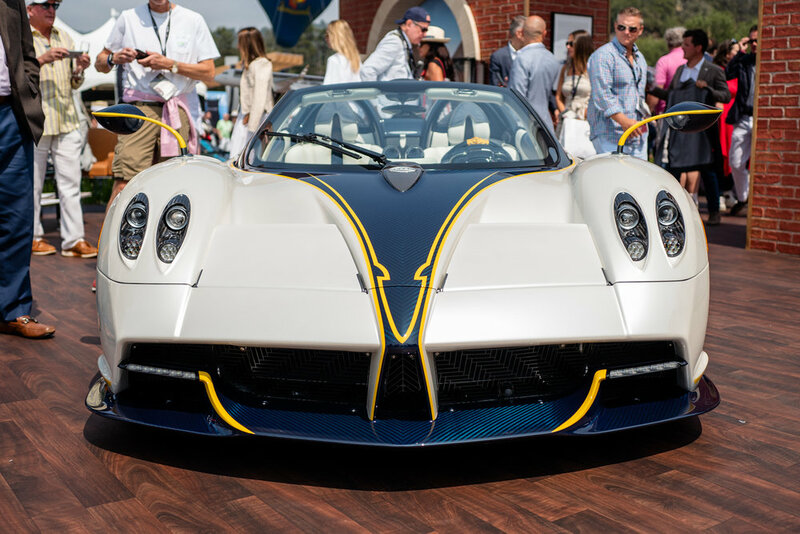 The top surface showcases a Pagani badge image as well as a horizontal Pagani logo. 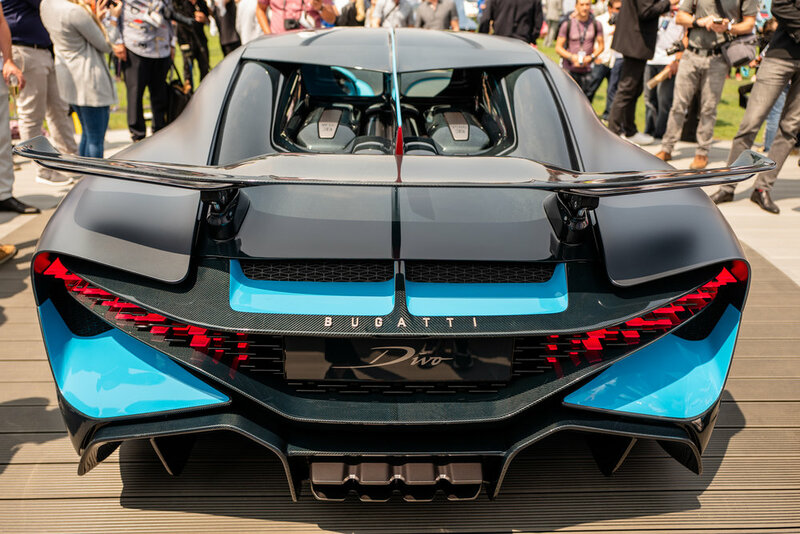 Underside features the pearl white with a large blue Pagani logo running vertically. The surfboard is a polished resin finish that feels just like your car’s finish. The board is styled in a big-wave gun shape measuring in at 9’5” and ready to be hung on your wall. 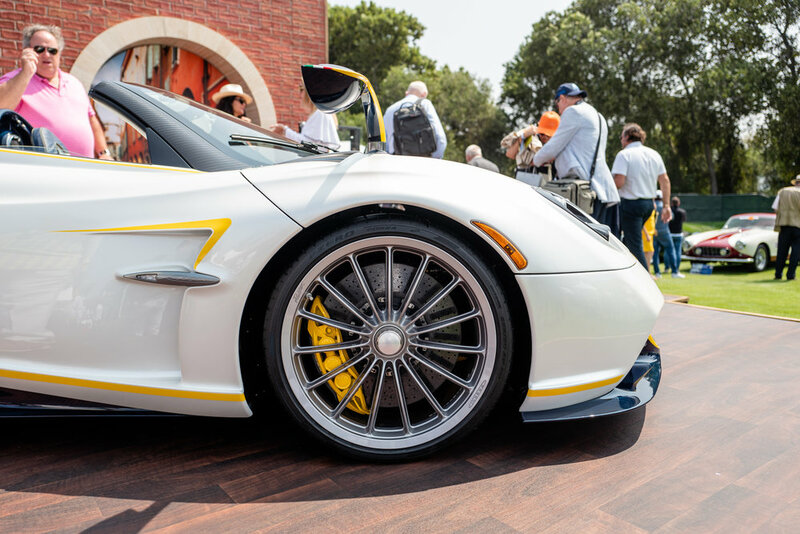 The Porsche 918 Spyder was one of our favorite cars when it was released and still remains in this position today. 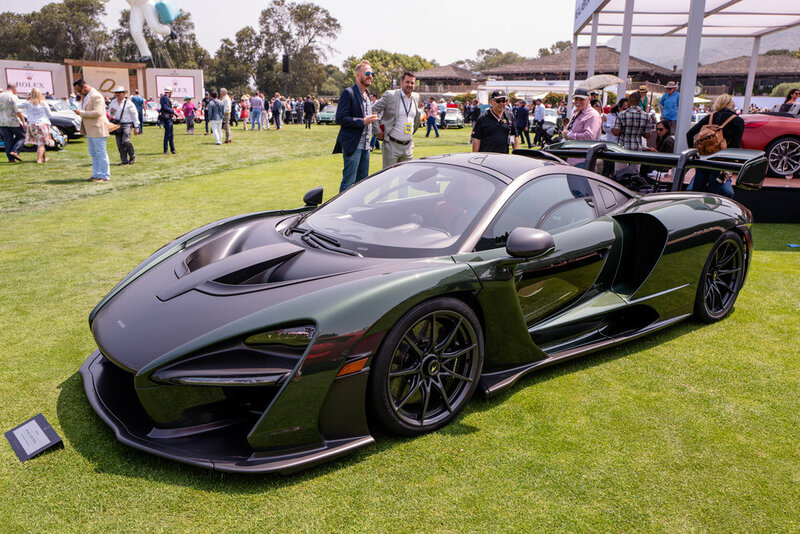 We wanted to create a unique piece of art that embodied this car and the styling in the metallic black and acid green paint. 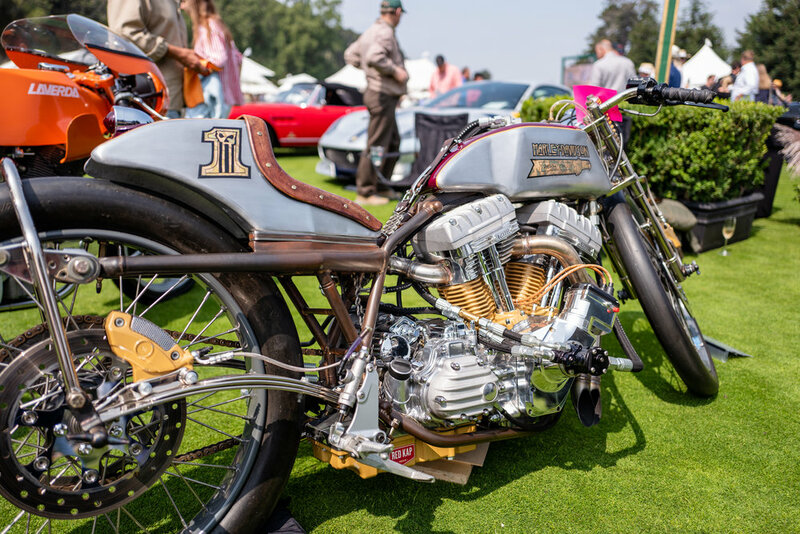 We put together this custom project using the actual paint from the factory to give it an impeccable finish. The board features both a Porsche badge and Porsche wheel centerlock inlayed. These are carefully crafted and placed before the surfboard is glassed over, giving it a completely flush appearance. 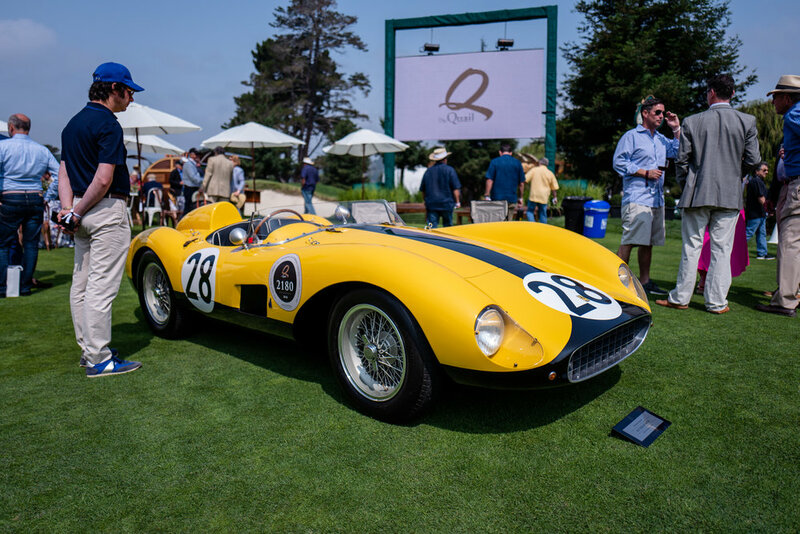 Every year at The Quail is always a good year. 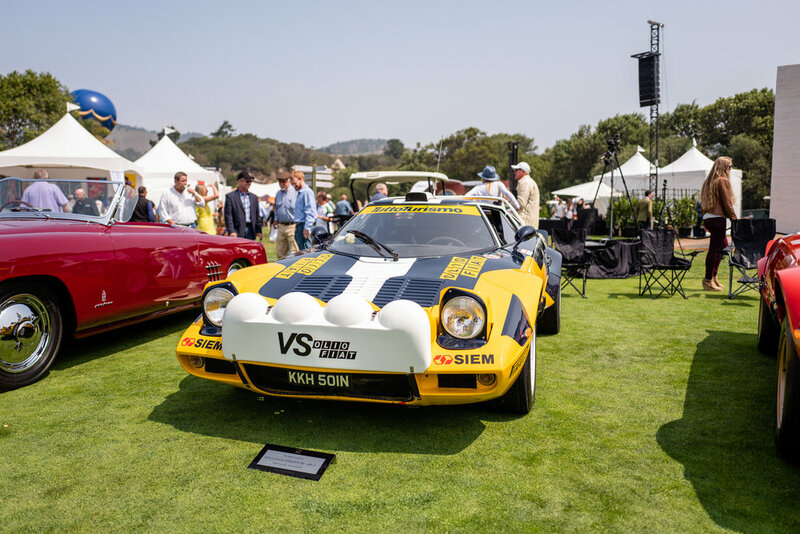 As we were hosting some events and had a booth out in Monterey this year, we had to attend The Quail of course. 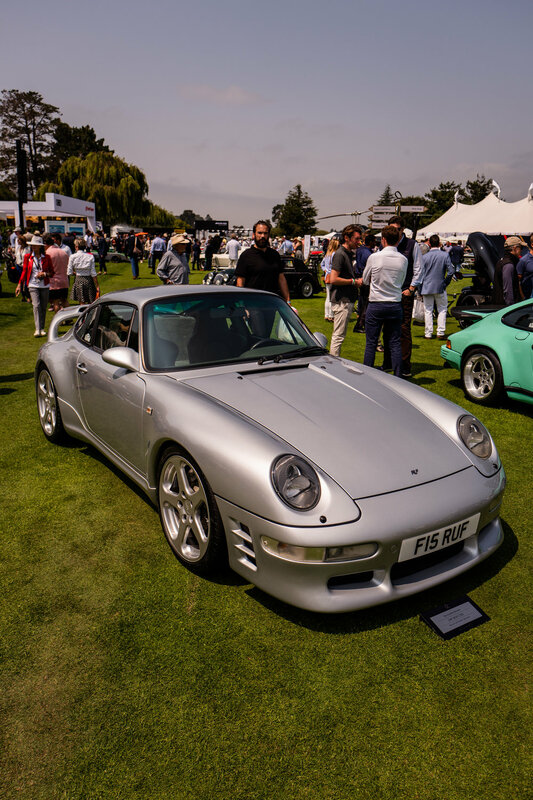 There were some incredible new releases, great cars brought in by collectors, and amazing food and drink. We’ll let the pictures speak for themselves.